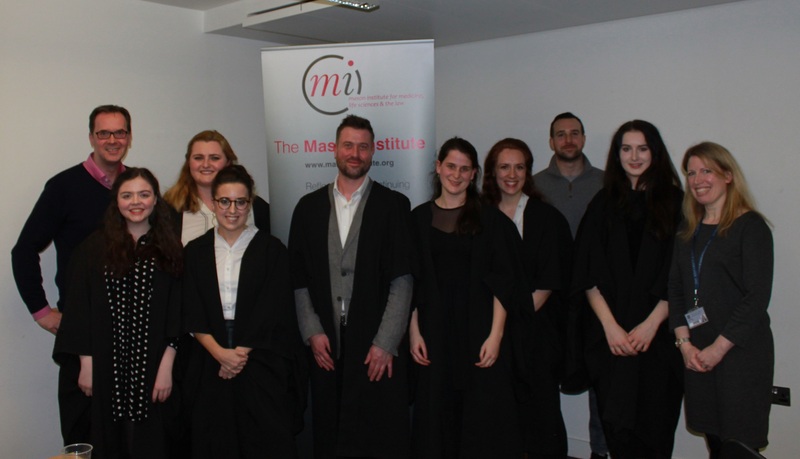 After four successful previous instalments, the fifth annual ‘Great Medico-Legal Debate’ was held on 20 February 2018 at the University of Edinburgh. The Great Medico-Legal Debate is an annual event that explores the arguments on both sides of a current and exciting medical law and ethics topic. We are proud to organise this as a joint initiative between the Mason Institute for Medicine, Life Science and the Law, and the University of Edinburgh’s annual Festival of Creative Learning. In a lively debate, the two teams considered issues of issues of human rights and public health arising over changes to childhood immunisation policy. Audience members were asked to consider and vote on the issue, after a brief introduction to the topic by the former Director of the Mason Institute, Professor Graeme Laurie. After arguments took place, audience members were asked to consider their stance and vote once more on whether the UK government should change the current policy for childhood immunisation, in light of the debate that took place. Ultimately, after a close competition, the invited expert judge, Professor John Coggon of the University of Bristol, decided in favour of ‘Team For’, although it attests to the high quality of the debate that our audience members were exactly split in their final vote! After five events, the ‘Great Medico-Legal Debate’ continues to deliver thoughtful and in-depth coverage of pressing issues in law and medical ethics, in a creative and stimulating format. Indeed, Professor Coggon remarked upon the exceptional skills of the debate teams, who not only explored the topic of childhood immunisations in detail, but also showcased their skills in legal research and argumentation. We would like to say a huge thank you to everyone who made this year’s debate such a success, including our expert Judge, Professor Coggon, the audience members who attended and participated so enthusiastically, and, most of all, the members of the debate teams, who gave up their own time to prepare for the debate and delivered such an excellent performance on the day. ‘Team For’ the Motion was made up of Belle Le Gallez, Lucy Wilson, Hen Dyson and ‘Team Against’ the Motion were Ruby Reed-Berendt, Hannah Nicholls-Harrison, Catherine McGarry.